31-W Insulation provides garage door replacement services that customers in Houston, Texas, have come to trust. Our reputation for meticulous workmanship and stellar customer service is no accident. To ensure that our high standards of workmanship are always upheld, we never rely on subcontractors. Instead, all our installations are performed by our factory-trained technicians. At 31-W Insulation, we give garage door installations a top priority. 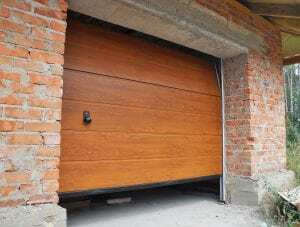 After all, not only are garage doors a large part of a modern home’s exterior, but nowadays, Americans use their garages for everything from exercise to storage to recreation. That’s why when you turn to us, we will come to your home free of charge to help you decide which garage door suits your needs and the design of your Houston, TX, home. In addition, our doors are designed with safety features to protect against finger and hand injuries. For added confidence, we also pass along some of the most comprehensive manufacturer warranties in the industry. Contact 31-W Insulation today to learn more about the exceptional garage door replacement services we offer homeowners in Houston, TX.